Sergeant Clutch Certified Engine & Transmission Repair Shop has over 75 years of experience in the Automotive Repair and Transmission Repair Industry. We have established high standards for each repair service to ensure you receive the best possible job. We believe that quality repair service, affordable prices and good customer service can turn a one-time customer into a lifetime customer. We feel confident that you will be completely satisfied with the job we do. Today’s automobiles are much more difficult to service and repair then 20 years ago. They have highly complex computer network systems. Many vehicle problems start with a simple leak, noise or Check Engine Light that turns into bigger more costly problems. 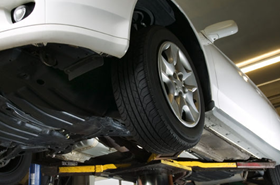 Choosing the right Mechanic to handle your auto repair needs can make all the difference. Sergeant Clutch Certified Engine & Transmission Repair Shop offers Domestic & Foreign Total Car Care Service from engines, transmissions, auto repair, clutches, brakes, air conditioner, tune ups, transfer cases, differentials, starters, alternators and much more. Our service area covers, San Antonio, Converse, Kirby, Cibolo, Universal City, Schertz, Live Oak, Canyon Lake, New Braunfels, San Marcos, Leon Valley, Helotes, and Seguin. 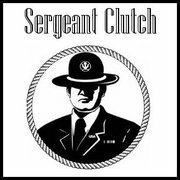 Sergeant Clutch proudly services our Military at all local Bases and offers a Military Discount.